The Japanese artist Gyoshu Hayami (1894-1935) was extremely inquisitive and this applies to various art forms emanating from Japan to modern European art. 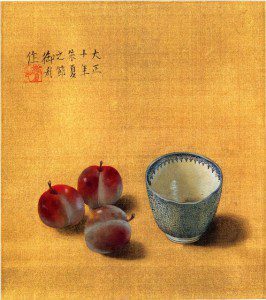 On top of this, Hayami also adored the rich reality of Chinese art that emanated from the Middle Kingdom of China. This notably applies to the Chinese Song Dynasty (960-1279) and the Yuan (1279-1368) periods of history. Therefore, the ebbs and flows of the old world and modern world flowed naturally within his artistic soul. Sadly, Hayami died at a relatively young age, therefore, one can only imagine the path he would have chosen – or paths. 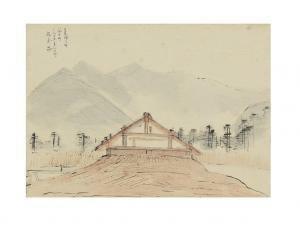 After all, his inquisitive nature meant that he studied the old artistic world of China and Japan while focusing on new European and Japanese art forms. Interestingly, Hayami was born during a period of extreme change because Japan was still modernizing after the Meiji Restoration of 1868. 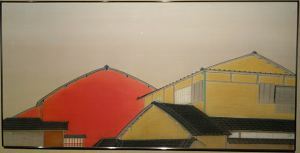 Indeed, this highlights the inquisitive nature of Hayami because while many modern Japanese artists solely focused on new ideas emanating from Japan and Europe, this wasn’t the case for Hayami. 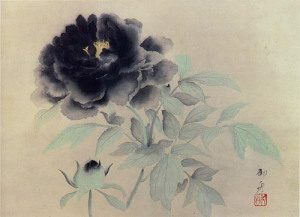 Therefore, he delved into the old artistic world of China and Japan respectively, while being open to new international art forms and not being afraid of fusions. 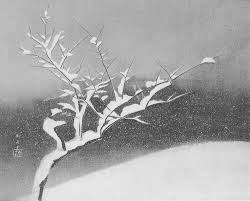 This reality meant that the artistic impetus of the Meiji, Tokugawa, Taisho and Showa periods in Japan all impacted on Hayami to varying degrees. At the same time, he adored the richness of Bunjinga, Rinpa, and Yamato-e art forms. 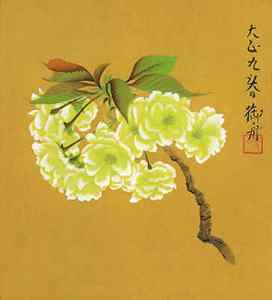 Yet true to the nature of Hayami the rich legacy of the Chinese Song Dynasty and Yuan period equally intrigued him, along with new artistic concepts emanating from Europe. Indeed, given the momentous international political changes taking place then it highlights the openness of Japan, prior to internal clashes between nationalists and socialists throughout the late 1920s and 1930s. However, for Hayami, it was art that meant so much to him and not the political agendas of various political movements. Art themes from various movements including Bunjinga, Northern Renaissance, Rinpa, Song Dynasty, Symbolism, and others, equally appealed to Hayami. 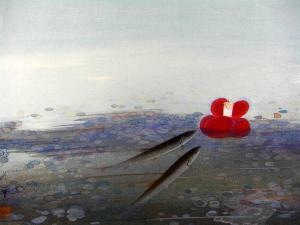 Likewise, experimenting with old artistic materials and utilizing modern technology was second nature to Hayami. Therefore, the spirit of the Kojikai circle during his artistic informative years stayed within his soul until sadly passing away at a relatively young age.